Angus Fire runs hugely successful Firefighting Foam Schools in Centro Jovellanos, Spain in partnership with CFB Risk Management. Centro Jovellanos is one of Europe’s leading centres for firefighter training and provides top class facilities. 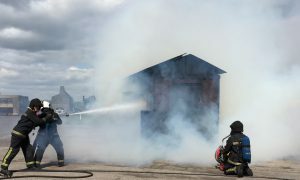 The expertise from Angus Fire and CFB Risk Management are supported by the skill of the Centre’s experienced fire trainers. The schools attract 27.5 x CPD points awarded by the Institute of Fire Engineers. View last year’s Course video here. develop the participants’ understanding of firefighting foams, application methods and techniques. introduce the participants to the equipment used to tackle flammable liquid fires. improve the participant’s ability to identify hazards and ensure measures are put in place to mitigate and reduce risks to emergency responders, the facility and the public. introduce the participants to challenging practical elements of emergency planning and the extinguishment of large, full-scale flammable liquid fires. Delegates from around the world and across several industrial sectors attend the courses. The main market sectors represented are Oil/Petrochemical and Municipal Fire Brigades. The course programmes maintain an important blend of practical fire ground training and classroom work including many relevant case studies. 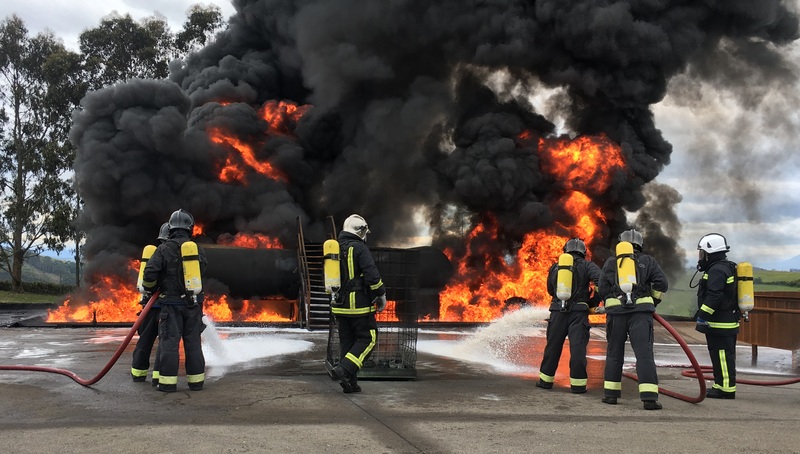 The practical programmes on the fire ground include various supervised fire scenarios involving hydrocarbon and solvent fuels and include tank firefighting, pressurised flange fire, bund fire, tank rimseal fire and LNG fire demonstrations. 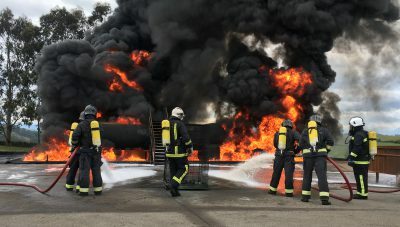 The theoretical programmes combine sections on: Emergency planning and Hazard Identification, Testing Foam in the Field, Emergency Response Planning, Environmental Considerations and Tank Fire Fighting Tactics. To complement the exhausting daily programmes at the school, social programmes are arranged in the evenings for delegates and instructors. At the end of the courses participants increase their knowledge and understanding of the pressures firefighting professionals face in large-scale emergencies. They can develop a wider perspective of engineered systems, fixed foam equipment and the methods used to tackle a petro-chemical, oil or gas incidents. Trainings cover hazard identification and the ability to implement a wide ranging emergency action plans to reduce the impact of incidents on the business and stakeholders. They can recognize the significance of the key decisions which are made before, during and after an emergency.